I recently spent some time out at my childhood home. My great-aunt’s property, it has housed nearly every one of my mother’s siblings at some point or another. 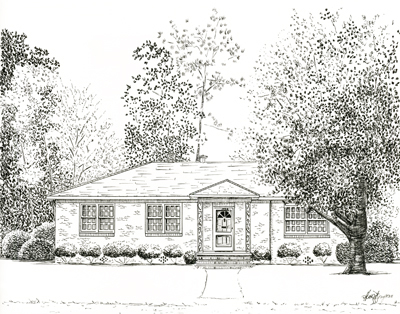 I spent the first 8 years of my life in that house and nearly ever summer there after. 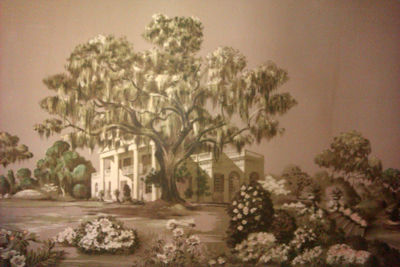 Perhaps this wallpaper mural in the foyer (circa 1978) has something to do with my Live Oak fascination? 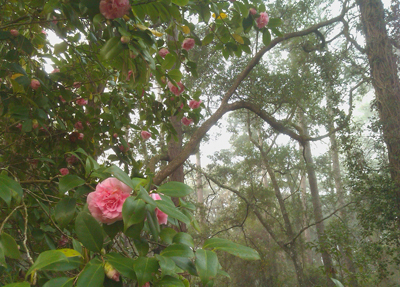 The camellias in bloom and the morning fog off the Vernon River welcomed me home. 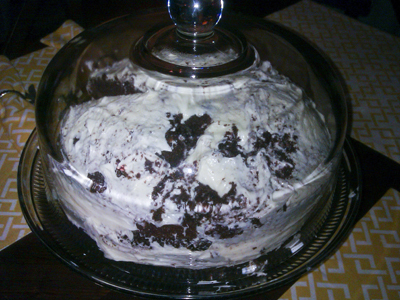 Remember that Dangerous Cake recipe? Or how about the time I cheated? Personally, I think it looks like a squirrel danced all over it, but no matter how good it tasted, I’m leaving the baking to the bakers from now on. 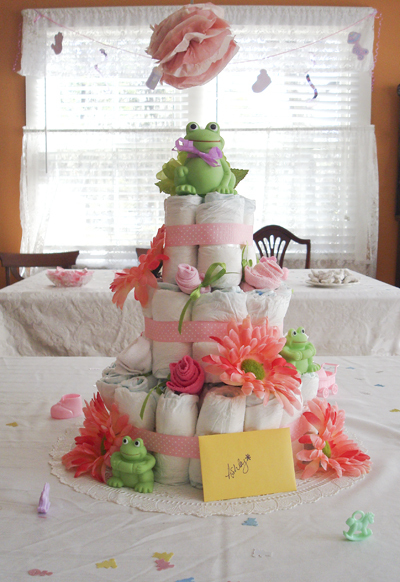 On a bright note, I did succeed at making my first (and last) diaper cake for a baby shower last week. Best wishes to all of you for a happy, healthy, and prosperous New Year! 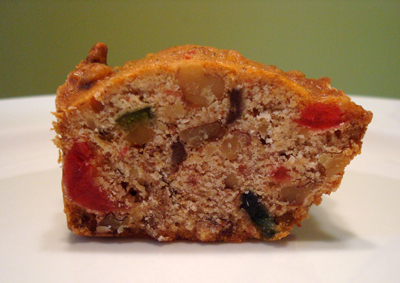 My observation: it’s really just fruitcake with extra nuts. 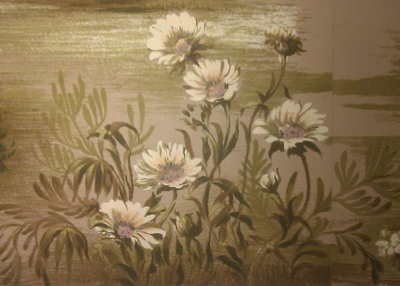 A striking resemblance to the ugliest painting I’ve ever painted, no? …perhaps my favorite of all the Christmas traditions. 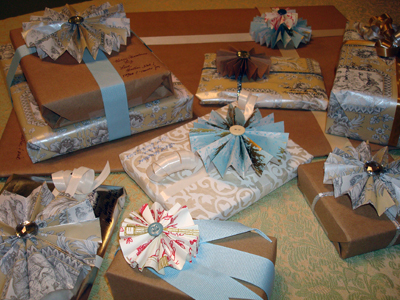 I’m a sucker for paper rosettes and love any excuse to glue rhinestones and wayward buttons to things. 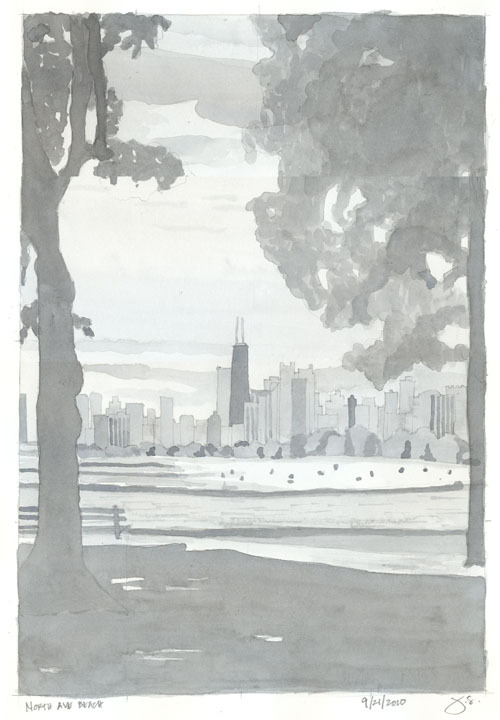 Meet Jane Sloss, architect and watercolor painter from the great Windy City. (catching the similarities yet? with exception that I’m just an architecture enthusiast…) Jane stumbled upon my work a month or so ago, and was kind enough to show me a little love on her blog, A Good Day’s Work. 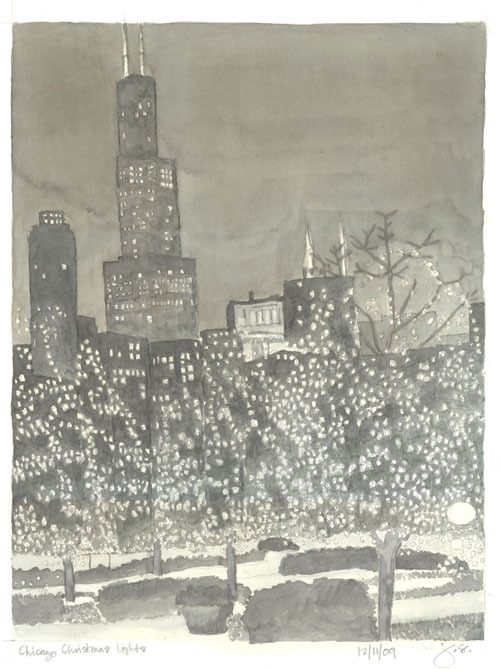 I’m so glad she found me, as I can’t stop drooling over her Chicago land and city-scapes. I especially love her muted color palette. It carries the mood of Chicago, but in a good way. Jane finds the calm in what is typically a hustle and bustle, fury of activity, and it’s quite refreshing. 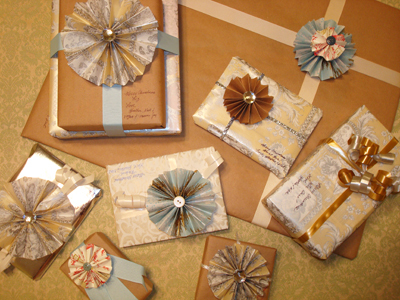 To see more of her work, including lovely and quite affordable wedding invitations, visit her Etsy Shop. 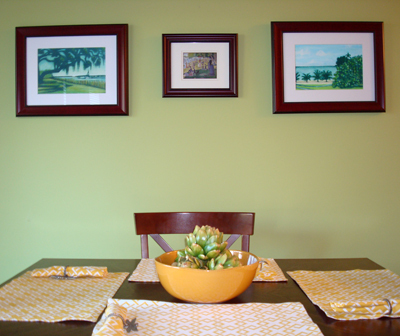 I’ve also added her to my blog roll so you can check in on her work, once in a while….many thanks Jane! 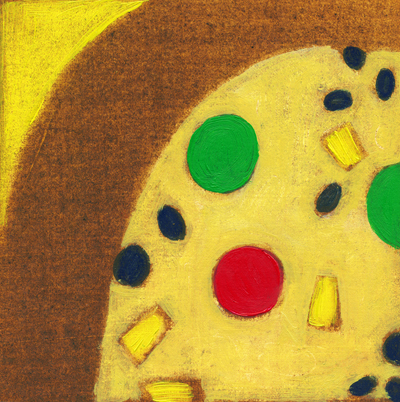 All artwork in this post is ©2010 Jane Sloss.